York, United Kingdom – March 15, 2018 – Piksel, Inc., a global provider of cutting-edge video technology solutions, has today appointed Kris Brown and Kristan Bullett as joint Managing Directors of its media and entertainment business. 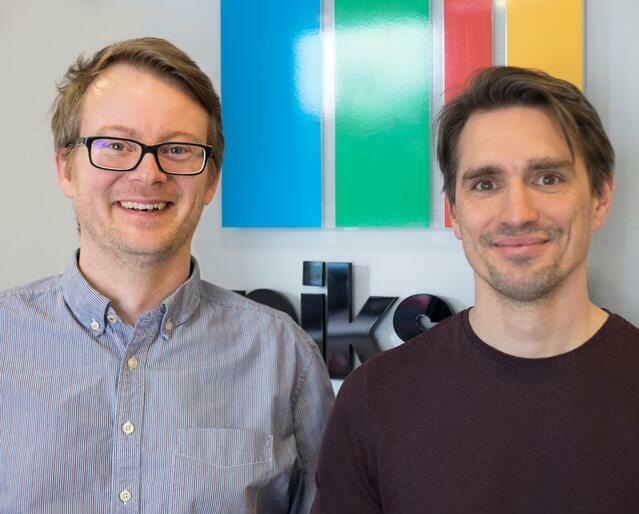 The duo - formerly the company’s Heads of Product and Solutions respectively - will now take charge of Piksel’s media and entertainment operations around the world. They succeed Ralf Tillmann, who will continue in his role as Interim CEO. Brown, who returned to Piksel in 2014 after a period spent in-house at Comcast Technology Solutions, combines significant broadcast industry experience with a strong track record of enterprise software delivery across sectors including healthcare, financial services and the public sector. Since rejoining the company, he has been primarily focused on galvanizing Piksel’s product portfolio. Bullett, who joined the company in 2000, worked in a range of senior architectural positions before his tenure as Head of Solutions. He played a major, hands-on role in developing services including Sky Anytime and AT&T’s U-verse, and was lead architect on the development of Liberty Global’s Horizon Go platform. Their wealth of combined experience will now be brought to bear on the continued growth of Piksel’s media and entertainment offering – particularly its flagship Fuse Publisher and Fuse Metadata Manager products - across the company’s core markets in Europe, Asia-Pacific and the Americas. Piksel will be attending NAB 2018 from 9th - 12th April. For interview or briefing requests, please contact us via one of the channels below. Piksel’s unrivaled expertise is in designing, building and managing online video solutions for the likes of AT&T, Sky, Channel 4, Discovery, Liberty Global, Mediaset and OSN. Headquartered in York, UK, Piksel offices can be found throughout Europe and the Americas. Connect with us: Twitter, LinkedIn, Facebook, YouTube, Instagram, and Google+.